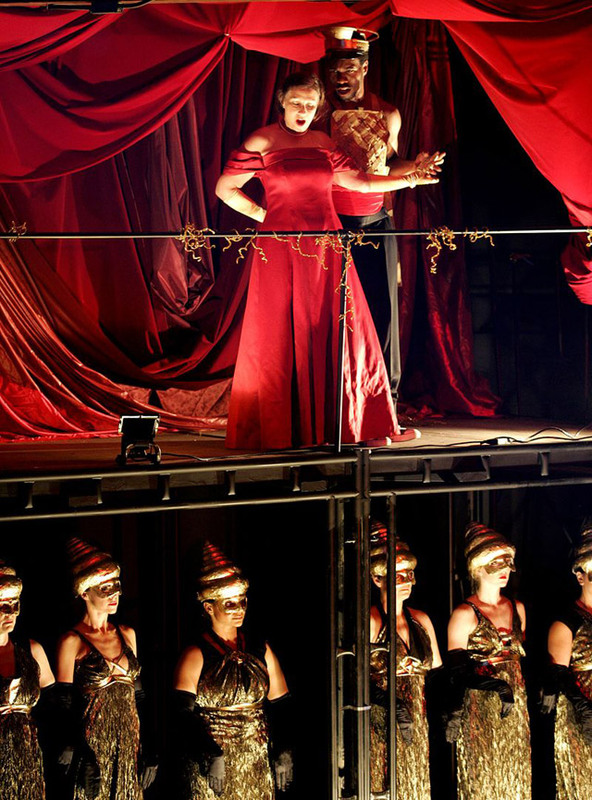 ‘Songs and Dances of Imaginary Lands’, an opera the LA Times calls “ambitious, possibly groundbreaking,” features over 10 scenes that the audience must walk to throughout the show (or if you want to pay extra, you can sit in a cart that gets towed). 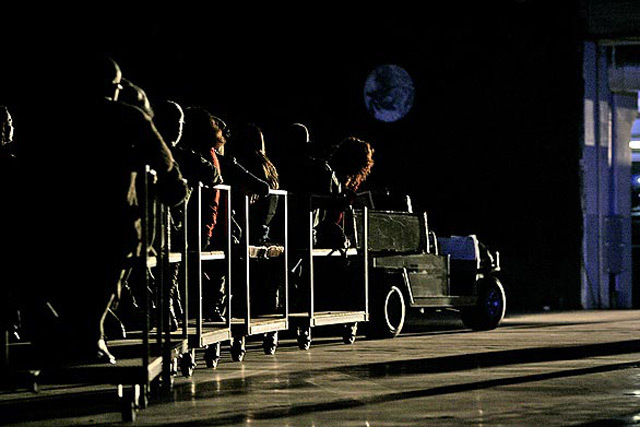 It’s located in a vacant car dealership in Culver City and volunteers shine flashlights to guide the audience and their fold-up chairs to different scenes as they follow the actors, actresses, and dancers. The show displayed a variety of beautiful costumes, props, and landscapes, all built to take advantage of the acoustics and large space. The show’s doing so well that they’ve extended it for another week! Pretty Awesome! This entry was written by Camile Orillaneda and posted on July 16, 2010 at 6:42 pm and filed under Awesome Event!, Awesome Installations! with tags costumes, musical, opera. Bookmark the permalink. Follow any comments here with the RSS feed for this post. Post a comment or leave a trackback: Trackback URL.